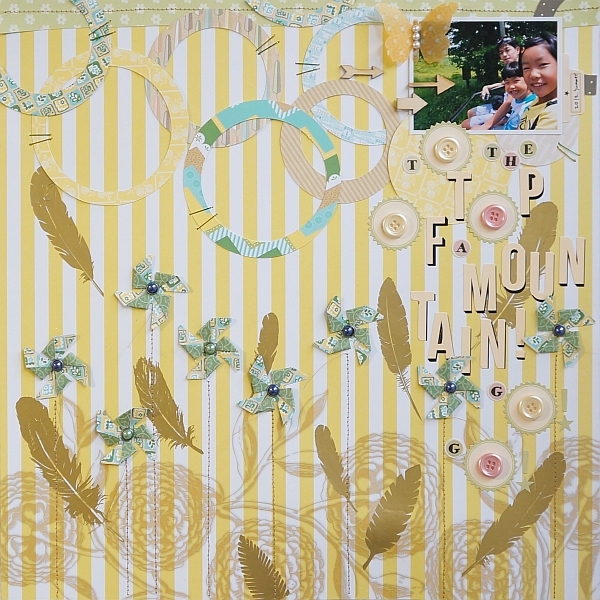 I want to share with you a layout I did using the pinwheel punch and the feather gold rub-ons. I love the Modern Mercantile papers! 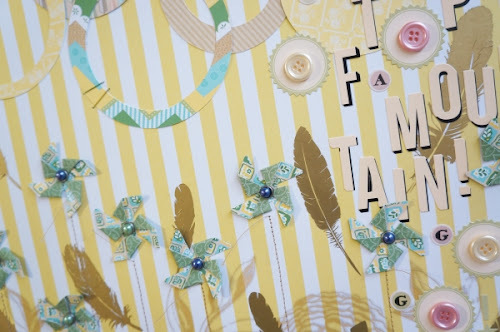 I chose Miscellany as the yellow stripes and gold flowers are very lovely! The gold feathers and flowers match so well and are so gorgeous! I used the Etcetera paper for the pinwheels and circles. I am enjoying working with the many patterns of the Modern Mercantile line.